Fitness industry veteran Matt Roberts has been quietly sculpting the physiques of London’s elite for over 20 years. Starting out as a high-level athlete, competing and training with some of the world’s top sportsmen, the entrepreneur, who launched Europe’s first one-to-one training gym aged just 23 in 1995, has utilised his experience and expertise to grow a sustainable fitness empire built on passion and credibility. 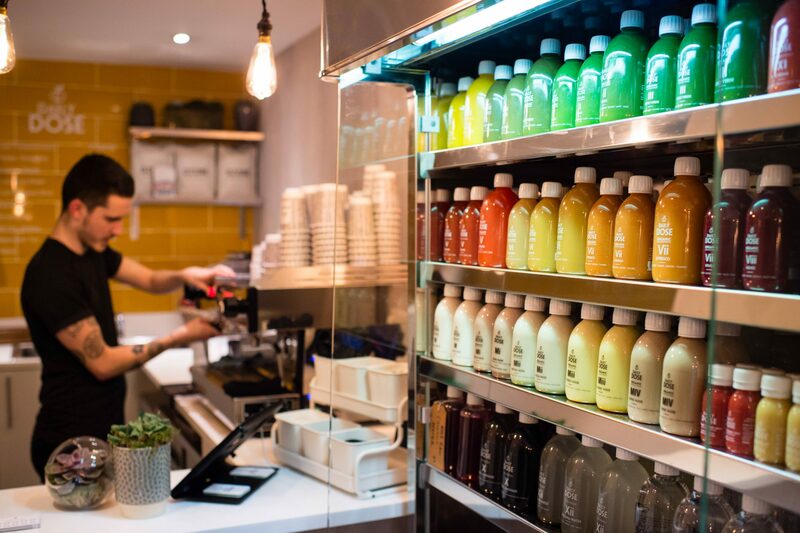 His latest venture — a cafe specialising in high-protein food and drinks at his Mayfair studio, takes inspiration from his holistic approach to health, to sit alongside his 3 personal training studios, exercise equipment and fitness retreats. 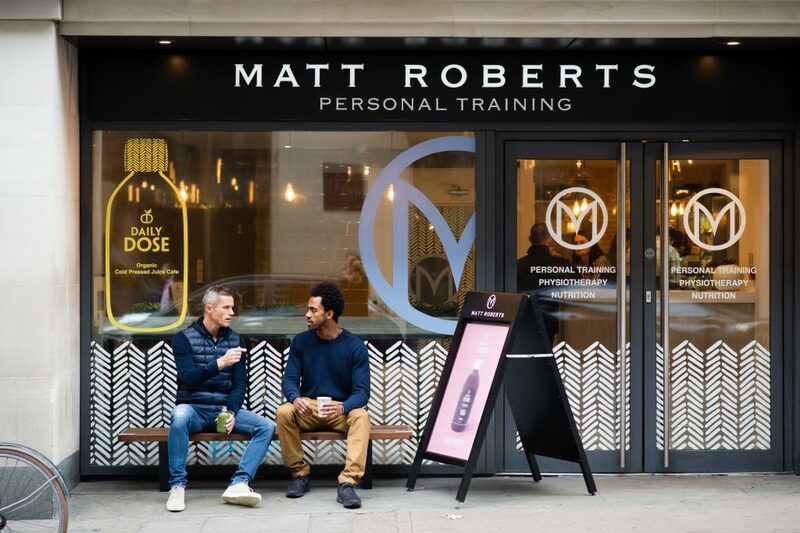 With a goal to cut through the fads clogging up the fitness industry, Roberts continues to provide tried and tested methods founded on the latest industry thinking, meanwhile, his high-end studios, which combine bespoke training with premium facilities, have become an industry blueprint. 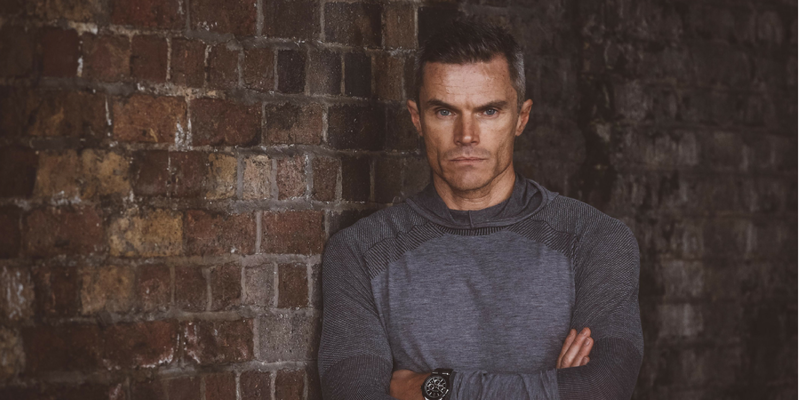 Over the next 18 months, the health and fitness expert plans to revolutionise the market once again, with a new fitness concept that’s set to shake up the small group training market. Before that, his latest gym and personal training club will open this summer, set within luxury hotel The Langley in Buckinghamshire. Here, Roberts discusses the importance of a strong brand culture, why credibility is key and how he built a profile as one of the leading premium fitness operators in the UK………. On turning a passion and knowledge for fitness into a scalable business…….. Brand building comes from having a clear understanding of a few things. You need a clear vision of your customers for starters, and you need to have a full understanding of what it is that they want in their lives and expect from their purchases. Any brand needs to have a strong core culture and a set of beliefs that the founder extols, shares and represents. I spent an enormous amount of time and money experiencing the brands that I saw as the leaders in their fields of luxury when I was setting up. I would stay in hotels, visit restaurants, shop in leading stores and use service providers who were class leading, whether they were hairdressers, doctors or tailors, using money I didn’t have in order to understand how potential clients thought and existed. I read the FT every day to get to know the environment, I spent time looking at a whole host of details, in order to know that the brand positioning would sit with the demographic I wanted. Once this was done, the next part of the equation was to then have my team understand those levels. Every trainer I’ve employed has worked for the company and not been freelance. This has been vital to me. I wanted to invest in a team that would learn, grow and understand the company culture and where I wanted to position the brand because a business is not scalable if each part within it operates through a different set of rules and values. Ultimately, a brand is not what you think it is, it is what your customer and user say it is. Bad experiences create poor reflective brand values, and that is why every part of the company needs to understand its role and what the brand is trying to achieve. Once you achieve that, people stop asking for an individual to work with (in the case of the PT world) and ask to work with someone within the brand, because the brand has value, trust and goodwill. On convincing consumers to believe in your services…….. I have always had a very strong idea and structure to how we operate and produce results, so people quickly understood what the process was. Retrospectively, I was 23 when I started this, so I must have looked REALLY young, but I think if anyone is knowledgeable, clear, open, organised and passionate then being trusted is easy. On being smart with your funding strategy……. Choosing to work with an investor is a process that you can get right or wrong, and sometimes you have to hold your hands up and say you chose the wrong people, with the wrong ideas and code. But any business owner should put it down to experience and grow from it. The important facet is always to retain control of decision making and equity, which is something that I have always done. On cultivating a culture of self-development……. I think it’s important that wellness companies create an environment that applauds wellness and fitness achievements. We certainly encourage and support our team in their own fitness endeavours and give them real airtime. We encourage our team to achieve fitness goals and to be living embodiments of the brand. Also, any company needs to be run by people who represent the brand values and also live and breathe them. Building a profile without resorting to obvious and cheap stunts isn’t hard if you have strong core values. Luxury brands become luxury brands because they deliver luxury consistently. Having worked in this way for more than twenty years there is an enormous amount of brand trust that cannot be bought. For someone starting now, I would say that you need to decide on your area and speciality, focus on it and don’t have the notion that you can have two or three different careers at once — this is a modern phenomenon that for most people is doomed to failure. Building a business isn’t about the number of likes you get on social media, apart from some rare cases, it is about building a product or service that physically delivers to the customer who is stood right in front of you. If you want to be seen as an expert of credence, start out by standing for what you believe in and putting in the hours of work that it takes to perfect something. If we believe the idea that it takes 10,000 hours to perfect something it is worth noting that as a company we have delivered more than 1 million hours! On investing in a team……. My team is paramount to our success. We have always invested what we can into staff training, wages and development. On a personal level, it is vital that I represent the brand but, to be honest, living the brand ideals is something that comes naturally to me. The ideals are a representation of how I live my life anyway. I have a great senior team who have worked with me for some time. I recently recruited a new MD who comes with great experience in operating and running a leading luxury hotel and has previously worked within a brand that delivers first-class club membership to the world’s elite. This addition was to further enhance our credentials, organisation and to grow further again. I have worked with some of the leading business leaders, world leaders, influencers and entrepreneurs in the world and there are common traits to each of them. I think that it is not so much that they have acted as mentors to me, it is more a case of me analyzing and observing their methods of working and responding. Any leader will tell you that they trust their own instincts first, and I am no different. On the importance of quality and credibility……..
As volume increases in any industry, it tends to follow that prices fall and quality follows soon after — the PT world is not dissimilar. There is an awful lot of average and mundane training, and an awful lot of unmotivated PTs out there. It isn’t an easy profession and it is one that doesn’t get the respect and credit it should always deserve because the bar is set so low. There is growth in group training right now, which is great. However, I would voice some concern about quality here too. You can get away with an awful lot when working with a group and I think that some of the quality levels within some group training settings is low. In many cases, the levels have not moved on from delivering exercise classes in the 80s and 90s. On launching a cafe concept……. I have always wanted to have somewhere that genuinely provides high-quality food and smoothies with great efficacy. We are planning to open some clubs in the coming 12-18 months that are new and revolutionary for us. I can’t go into detail at the moment but these are a fundamental growth for us into the small group training market and I’m very excited about them. The Langley opens later this year and this is going to be a really incredible gym and spa venue for us. The subterranean facility is like nothing else and the owners have been really incredible in their shared vision of how we can make this facility become a really unique fitness and health facility. There is a great gym that I have designed, and we have also been developing some amazing outdoor facilities that will open in waves. The whole place will have all of the facilities (and a whole lot more) of a full spa resort, plus all of the luxury and services that a top five-star hotel should provide. Besides offering club membership and personal training, we will also be offering an extensive range of retreat programmes, ranging from half day boot camps to longer stays of 3-5 nights in which guests can go through a fully immersive approach to our programming, eating, training and treatments. There is a fully-synced approach to each client to ensure that every training programme and treatment schedule is designed to offer a synergistic solution to every need. It’s a very exciting launch.